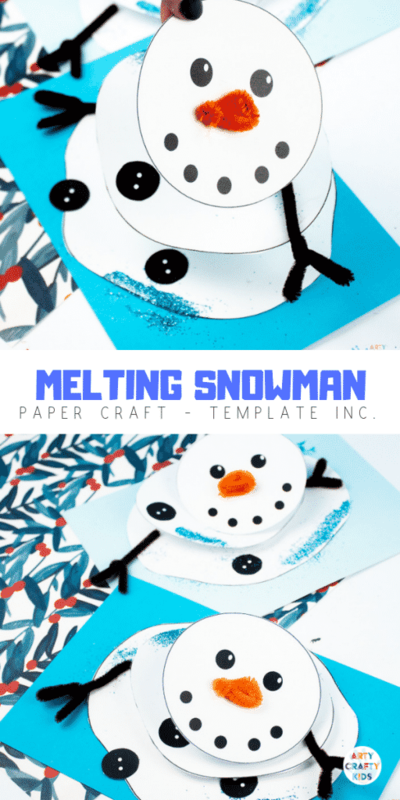 Craft meets play with this adorable Melting Snowman Paper Craft! 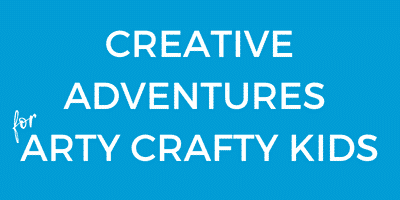 This snowman will stretch, wobble and melt into a big white blob, bringing joy and fun to the creativite process. 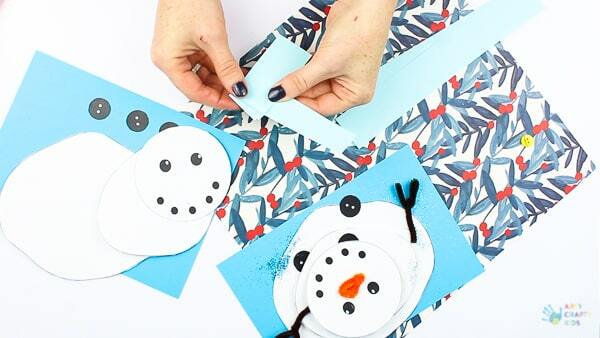 With a useful free template, it couldn’t be easier to recreate the craft at home or within the classroom, and fits in beautifully with winter and Christmas craft themes. 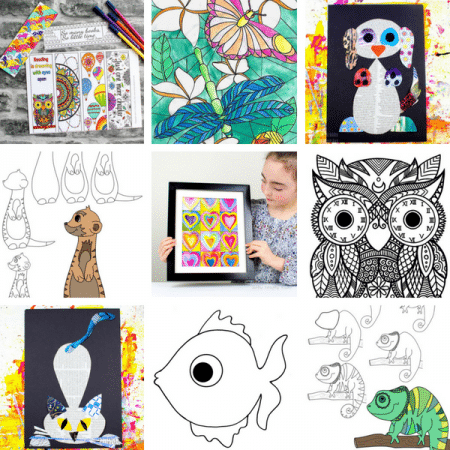 Arty Crafty Kids Members Area, where you can benefit from unlimited downloads, access to exclusive art & craft templates, colouring pages, how to draw guides, activity booklets and much more! 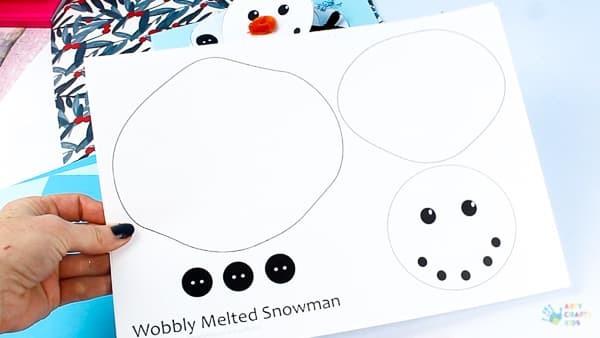 Step 1: Download and print the Wobbly Melted Snowman template onto white cardstock! 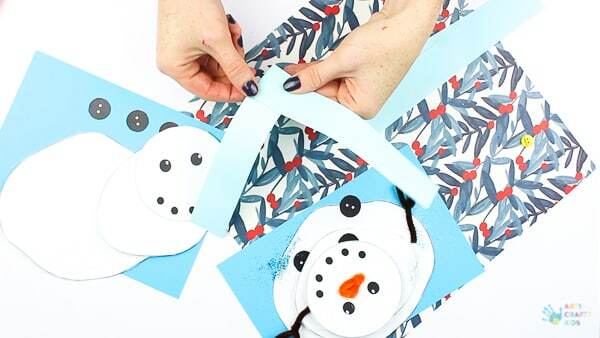 Step 2: Cut out the snowman elements from the template. 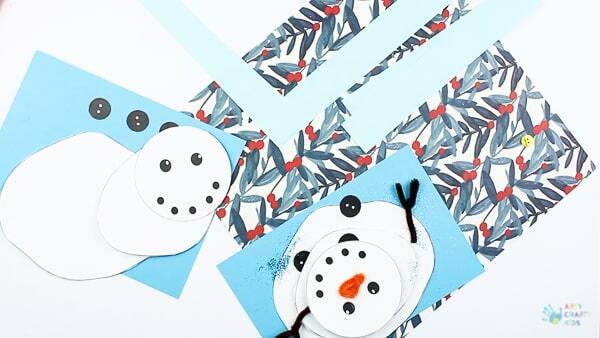 Using scissors or a paper cutter, cut out four even strips of blue paper – ideally, the strips will be fairly wide and for length, I would recommend cutting the paper from the shortest side of an A4 piece of paper. Take two strips and position them in a 90° angle as shown above. Glue the connecting papers together. Step 3: Simply fold the bottom strip over the top and crease the fold along the edge. This will make the accordion fold tight! Step 4: Keep alternating the strip folds until you run out of paper and seal the ends with glue. Step 5: Let’s assemble the snowman! 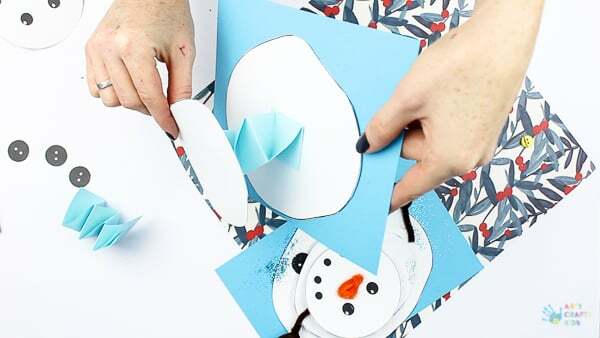 Starting with the blue base, cut a sheet of A4 blue card in half and then glue the largest element of the snowman onto the base. 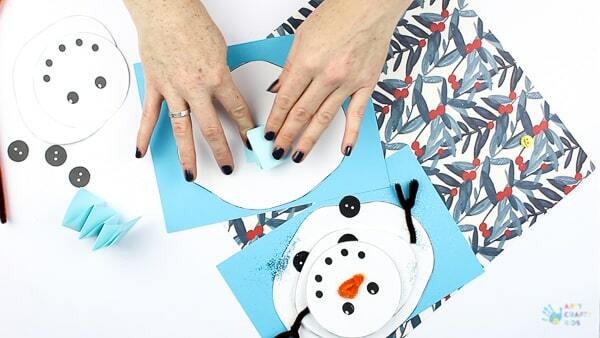 Take the first accordion fold and glue this to the centre of the white snow blob. Step 6: Glue the second medium sized white blob to the top of the accordion fold. Step 7: Again, glue the final peice of the snoman to the top of the accordian fold. 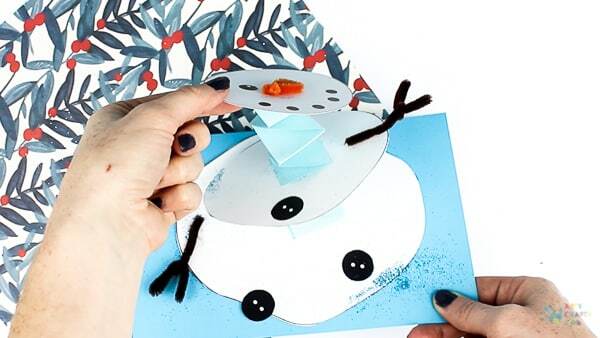 The whole snowman should stretch, bounce and wobble on the accordion paper. Step 8: Complete the snowman by adding buttons to the melted white blobs of snow. Cut a brown pipe cleaner in half and fold to create two stick arms. 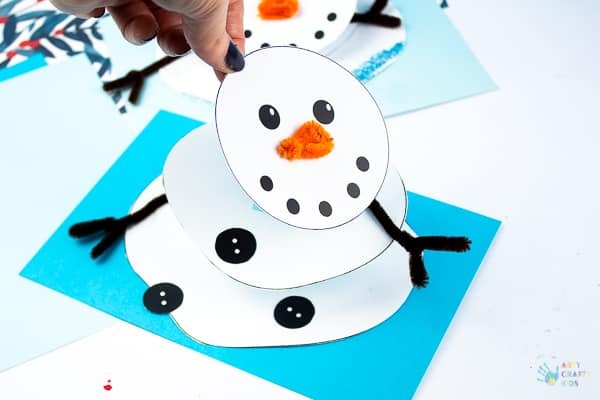 Attach the arms to different levels of the snowman. Use a smaller piece of orange pipe cleaner and fold to create a big carrot nose! Optional – Add some blue or silver glitter to the edges of the melted blobs. 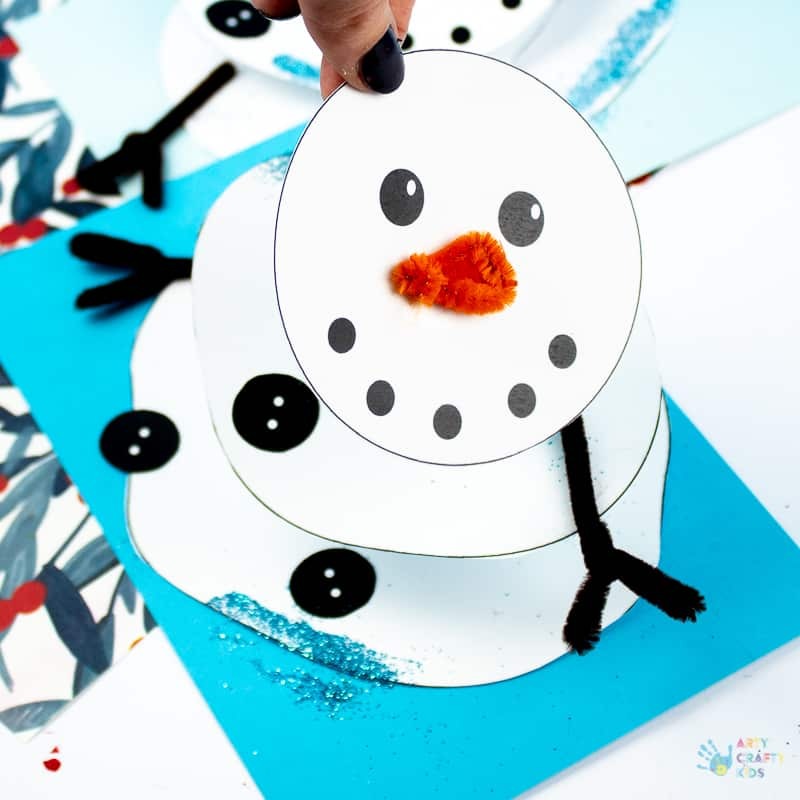 Allow the elements of the snowman to dry before having a play! 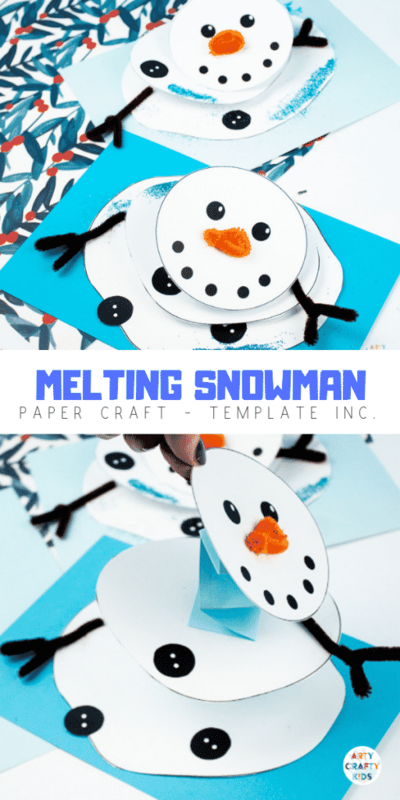 I hope you’re Arty Crafty Kids enjoy this Melting Paper Snowman Craft.